me together at Jantar Mantar on Wednesday to demand enactment of a comprehensive legislation. 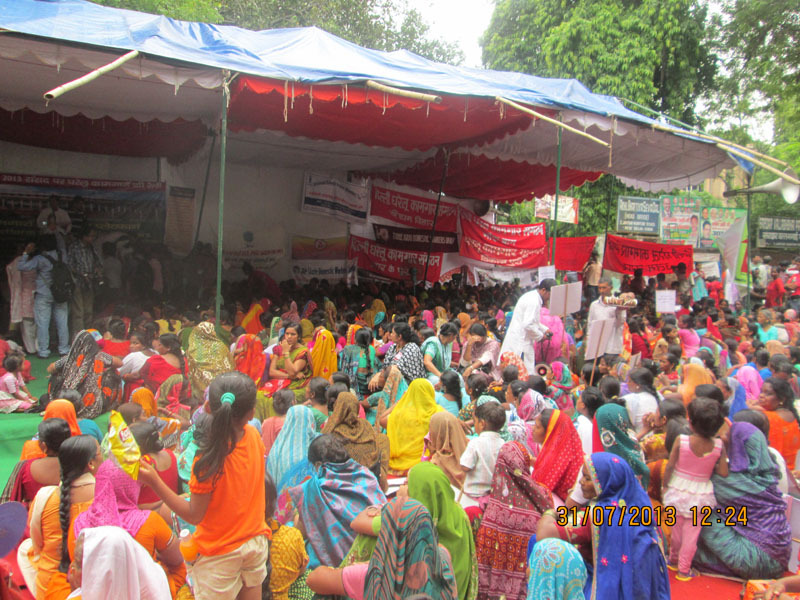 With exploitation of domestic workers at the hands of placement agencies and trafficking of girls from states such as Jharkhand, the demand for a regulation of domestic work and its recognition as an occupation with dignity has gained credence.
) that draws its strength from more than 10 states, the workers have written to PM Manmohan Singh about their plight and the need for a law. At the demonstration the workers raised the demand for a legislation on social security and the regulation of employment. In their petition, they pointed out how the National Policy of Domestic Workers announced by the Centre is still a draft. The petitions have been signed by thousands of domestic workers. By DELHI SHRAMIK SANGATHAN in News on 02/08/2013 .